We love seeing Australia – but it doesn’t need to cost you a fortune to see all the best bits either! 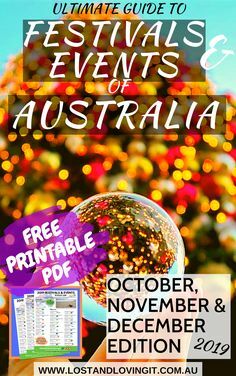 We have seen a lot of Free and Low Cost campsite over all our travels from all around Australia – Here we try limit it to ten, these are some of our favourites. Each of these places hold special memories for us, we hope you make some great memories there too! 1 Cape Le Grande, WA Cost: $11 an adult, $3 a child Stayed: 4 nights Memories: Playing with the kids in the clear water and white, white sand. Then driving all the way into Esperance along the beach! 2 Ned’s Campground, Ningaloo Reef – Cape Range National Park, WA. Cost: $11 NP entry and $10 per adult/night, stayed 7 nights. Memories: Playing with schools of fish and drifting lazily on your back as the current shows you, Ningaloo Reef. 3 Little Bondi, East Arnhem Land NT Cost: Free camping, included in your General Access permit Memories: Having our own private beach and watching large fish literally jump right out of the water! 4 Macassans Beach, East Arnhem Land NT Cost: Free camping, included in your General Access permit Memories: Watching the Sea Turtles swim by!! 6 Gregory Downs, Qld Cost: FREE Stayed 4 Nights Memories: Walking upstream and drifting down slowly with the kids in the cool water and the having laughs as we relived our youths on a rope swing. 7 The Tip of Cape York, Qld Cost: Free Stayed: 1 night Memories: We had to camp here out of necessity! But wow, the sunrise and sunset is breathtaking! 8 Babinda Free Camp, Qld (WITH Showers and Toilets!!!) Cost: $10 donation Stayed: 3 nights Memories: Meeting other travellers to enjoy this view with! 9 Byfields National Park, Qld (Toilets, hot plates and water!!) Cost: $25 for a family Stayed: 5 Days Memories: Family fun driving up “Big Sandy” the epic track to the most stunning views at stockyard point. OK, I had to add an eleventh! 11 Cockle Creek, Tasmania – The most southern point of Australia – Cost: FREE with your National parks pass Memories: Playing with the huge bronze whale statue and conquering the 16k walk as a family to South Cape Bay, the most southern point! 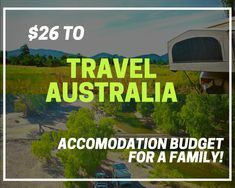 Tagged Travel Budget, How much to Travel Australia, Lap of Australia, Free Camping, Travel Tips.